This report is the result of the Austin City Code 6-7's Energy Conservation Audit and Disclosure Ordinance approved in November 2008 (amended in April 2011) to improve the energy efficiency of homes and buildings that receive electricity from Austin Energy. The ordinance meets one of the goals of the Austin Climate Protection Plan, which is to offset 1200 megawatts of Peak Energy by 2025. The Audit results are averages of the energy efficiency measures evaluated on site during the audit. Austin Energy has a goal to reduce CO2 emissions by 2020 to a level that is 20% below 2005 levels. CO2-equivalent is a measure used to compare the emissions of different greenhouse gases based on their global warming potential.This goal was approved by the Austin City Council in April 2010 as part of Austin Energy’s Generation Plan. From 2005 to 2012 Austin Energy stack emissions have declined by 16.5%. Total stack greenhouse gas emissions reported here include carbon dioxide (CO2) as well as the greenhouse gases methane and nitrous oxide, and are reported as metric tonnes of carbon dioxide equivalents (CO2-eq). Carbon dioxide equivalent is a measure used to compare the emissions of different greenhouse gases based on their global warming potential (GWP). Non-CO2 greenhouse gases make up less than 1% of Austin Energy’s stack emissions. Plant gas emissions reported in the below table do not include CO2-equivalents and are reported in English dry tons. Austin Energy uses English dry tons for annual reporting to the Environmental Protection Agency (EPA). The U.S. Energy Information Administration complies this calendar-year data to show a comparison for high voltage service. Source: Form EIA-861 2016 Data. The U.S. Energy Information Administration complies this calendar-year data to show a comparison for commercial rates. Source: Form EIA-861 2016 Data. The U.S. Energy Information Administration complies this calendar-year data to show a comparison for residential rates. Source: Form EIA-861 2016 Data. Austin Energy's energy efficiency programs help reduce the amount of air-polluting emissions released by power plants into the atmosphere. In fiscal year 2012, more than 70,000 metric tonnes of carbon dioxide was avoided. This helps meet Austin Climate Protection Plan goals by avoiding increases in power plant emissions.  *The affected area within the City of Austin that is served by Austin Energy. Not all deed changes require an audit only when the home is going through a Texas Real Estate Commission defined sale. **The term “Exempt” corresponds to a property that is less than 10 years old, performed at least $500 in retrofits, participated in the Austin Energy Home Performance or Free Weatherization programs or previously filed an audit. Austin Energy is proactive in addressing customer needs and regularly monitors customer satisfaction through customer surveys. In recent years, overall customer satisfaction has gone down. The drivers of the lower satisfaction are customer perceptions of price and value resulting from an overall increase in utility bills, despite Austin Energy providing reasonable and affordable electric rates. Residential and Commercial surveys are conducted quarterly while key account surveys are administered annually. Find more information at http://austinenergy.com/go/reports.